The whisperings around Roisín Dubh had been growing louder over the final weeks of July and into the start of August. What began as talk, dismissed by some given previous false starts, eventually developed into fact. Tuam’s own much-loved, bottle-fed ‘punk-slop-power-pop’ sons finally had a release date for their debut album. With Ginnels’ Marc Chester who produced the Oh Boland/Me and My Dog Delphi onboard, Niall Murphy (Guitar, Vocals), Eanna MacDonnchadha (Bass) and Simon McDonagh (Drums) retreated to a peaceful (but not for long) cottage in Carraroe to lay down 11 songs from their rather sizeable back catalogue written mostly from behind the bar of a Tuam local. And now, we finally have our hands on it. 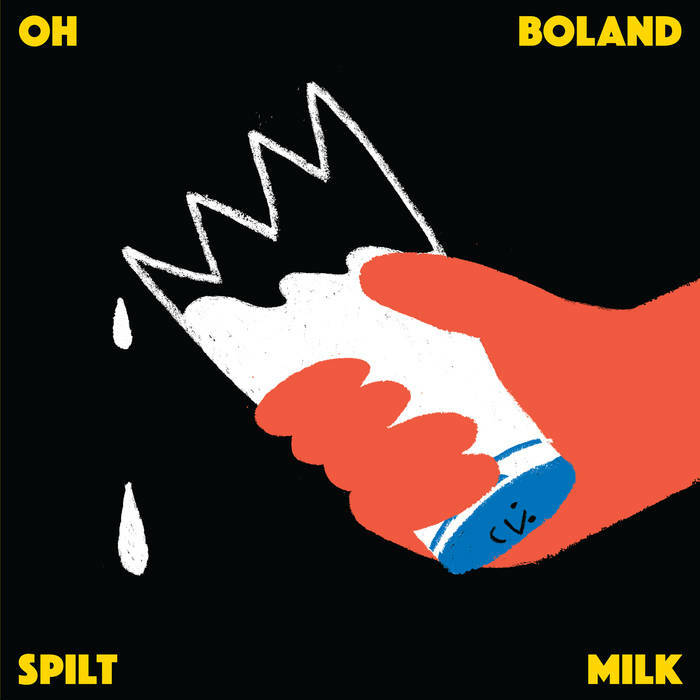 Spilt Milk kicks with Oh Boland set staple ‘Jane Russell’ (Listen below) which is an immediate and appropriate indicator of what the band are all about. Energy and melody, interwoven with a rhythm section akin to a rubber ball in a small room and cantankerous lead guitar, like a tightrope walker constantly on the verge of falling off yet consistently sticking the landing. Having Chester onboard following previous releases certainly enabled the band to accurately represent in studio the raucous energy of their renowned live performances. This theme continues with ‘First Dog’s Death’ and ‘Doctoring’, with the band’s 60’s power pop influences showing clearly. ‘Night Walking’ is a bit softer around the edges, giving a short breather with Murphy taking to the acoustic guitar, backed by a keyboard organ and light percussion. ‘Brainkill’ leads with a sinisterly turbulent surf-pop riff, with Murphy’s vocals distorted beyond comprehension. A mesh of noise but with an underlying melody, this anarchic thrashing seems destined to go down a treat live. ‘Waiting On You’ is a boisterous tale of longing and one of many examples on the record of McDonagh’s dulcet harmonies over Murphy’s rustic drawl throughout the shout-out craving chorus. ‘Oh The Flatlands’ follows on in similar vein, before live favourite ‘Take Me Back to Mutton Island’, a song for when you want to return to the now sewage treatment plant. The definition of an earworm riff, expect to be humming this one on your way to work, or chanting it wildly in the midst of a sweaty Oh Boland live set. 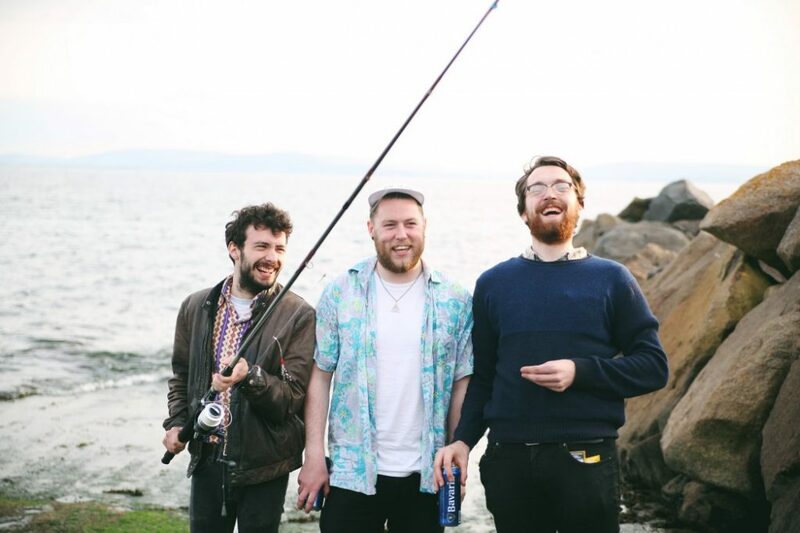 The album ends with slow-burner ‘Sick of The Sea’ which begins with MacDonnchadha’s trundling bassline and Murphy wondering how he could ever fall into a place that seemingly everyone has, insisting “I don’t know how it could happen to me”. Around the two and a half minute mark this really kicks off and ends the record with the spiralling, seemingly out of control yet never in danger of falling off the rails thrashing that defines the record. An album not designed to be perfect, by a band who’d never wish to be so. Not neat and tidy, with raw edges everywhere. You can’t help but get the feeling that a physical copy may just spontaneously combust in your hands at any second. But that’s why this works; This is obstreperous, this is brash, this is loud, and this is one of the best debuts you’ll hear all year. Spilt Milk will be released on the 30th of September on Volar Records with the band playing a number of US East Coast dates, finishing up at Gonerfest 13 in Memphis. I simply want to tell you that I am new to blogging and really enjoyed you’re web site. Likely I’m want to bookmark your site . You absolutely come with very good posts. Thanks a bunch for sharing with us your website.